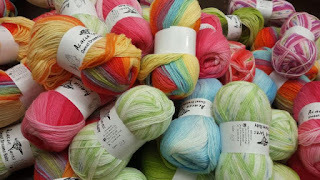 Yarn and Fiber Happenings: Beautiful yarns with great colors for you from Plymouth Yarns! Beautiful yarns with great colors for you from Plymouth Yarns! Have you met Mushishi? 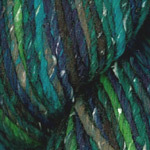 Mushishi is a huge skein of merino and silk yarn boasting 491 yards of color from Plymouth Yarn! Fabulous for accessory knitting and also sweaters (the cover of Skein for Skein is being worked up now in Mushishi yarns and it is impressive!) Warm and wonderful, Mushishi also comes with a free pattern for a hat and scarf in both knitting and crochet. Plymouth Angora yarn adds beautiful fluff to your favorite projects. 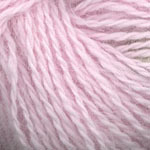 Plymouth Angora can be used for booties, sweaters, wraps, berets, mitts and more! The list goes on and on! Plymouth Angora is soft, fluffy and beautiful! 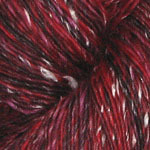 Also new to us from Plymouth Yarns is Kudo and Boku yarns. Beautiful self-striping Kudo is a self-striping yarn making garments beautiful with ease. Kudo is a blend of 55% Cotton, 40% Rayon, 5% Silk making it a perfect yarn for warmer climates and a perfect non animal fiber yarn. Kudo is available in 100 gram, 198 yards hanks and softens beautifully when blocked. 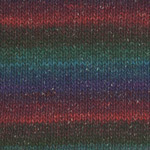 Another gorgeous striping yarn is Boku yarn. Boku is 95% Wool, 5% Silk and available in 50 gram, 99 yard balls for a great price. Visit us online or instore to check out all the cool and beautiful yarns we are stocking!